"I am a cage, in search of a bird." Take a look at these blurry aerial photographs. They’re strangely cropped and overexposed. Buildings are visible but difficult to make out. Is this the work of a beginner photographer? Nope. It’s the work of a pigeon! 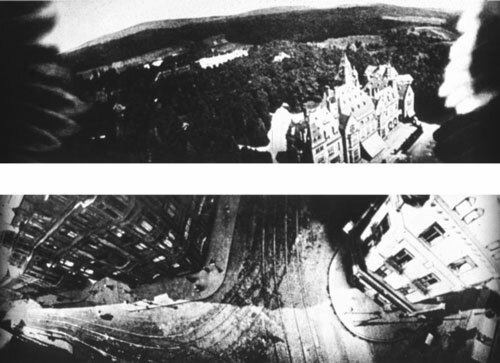 Julius Neubronner, "Aerial Views of Frankfurt", 1908, photograph. Ok, ok. Let’s be a bit more precise. Both a pigeon and a person deserve credit for these images. The person in question? A German apothecary (the old word for pharmacist) named Julius Neubronner. 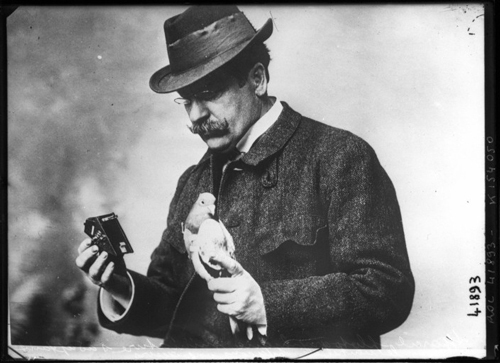 Rol Agency, "The Apothecary Julius Neubronner Holding a Miniature Camera and a Pigeon", 1914, photograph, Bibliothèque Nationale de France, Paris. Back in the beginning of the 20th century, Neubronner used to send out his medical prescriptions by carrier pigeon. One day, disaster struck. A loyal pigeon got lost in the fog and didn’t return home after completing its drop-off. Neubronner made use of his passion for photography and developed an ingenious system to keep track of his winged messengers, eager not to lose another one. Using an aluminum harness, he strapped a lightweight camera to the belly of each bird. Armed with an automatic shutter, Neubronner’s machines took pictures at regular intervals. This allowed him to understand what route the pigeons took… and explains why the images came out a little wonky. 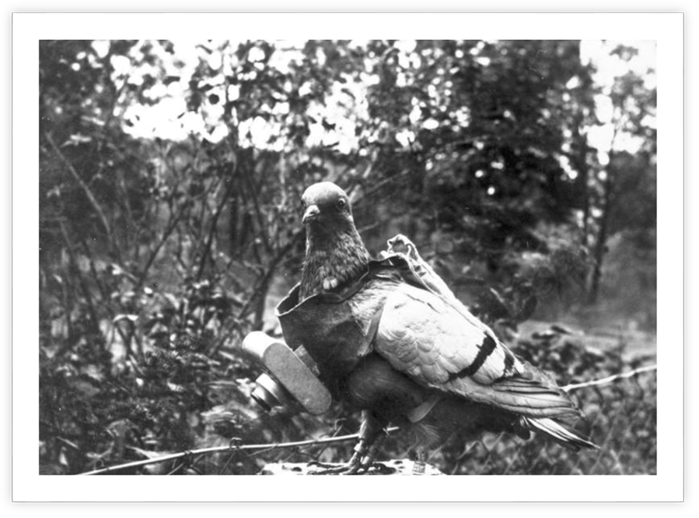 Julius Neubronner, A Pigeon Equipped with a Miniature Camera, National Air and Space Museum - Smithsonian, Washington, DC. In 1908, Neubronner secured a patent for his creation. 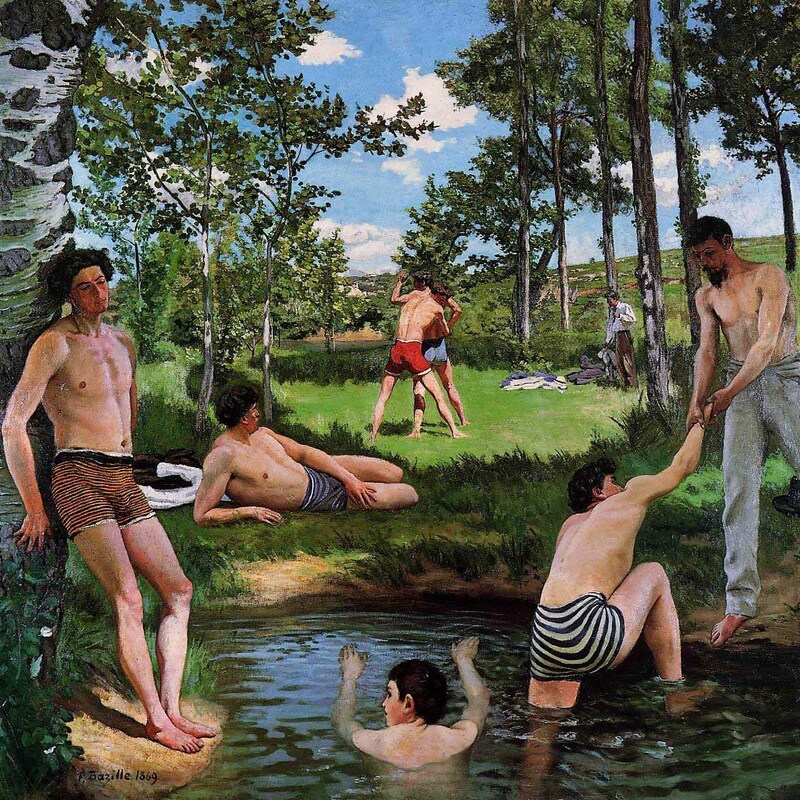 He set up a successful business, printing his unusual images and selling them as postcards. His invention quickly attracted the German government’s attention. They created a school to train pigeons and integrated aerial photography into their military techniques during World War I. 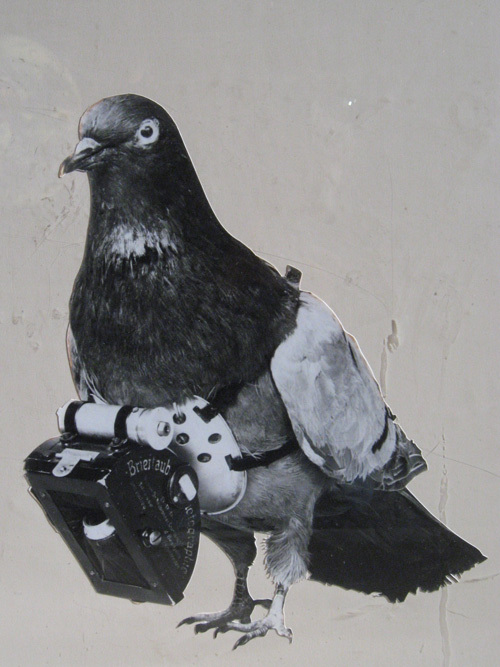 Decades later, the CIA created its own "Pigeon Camera," but that story remains classified. 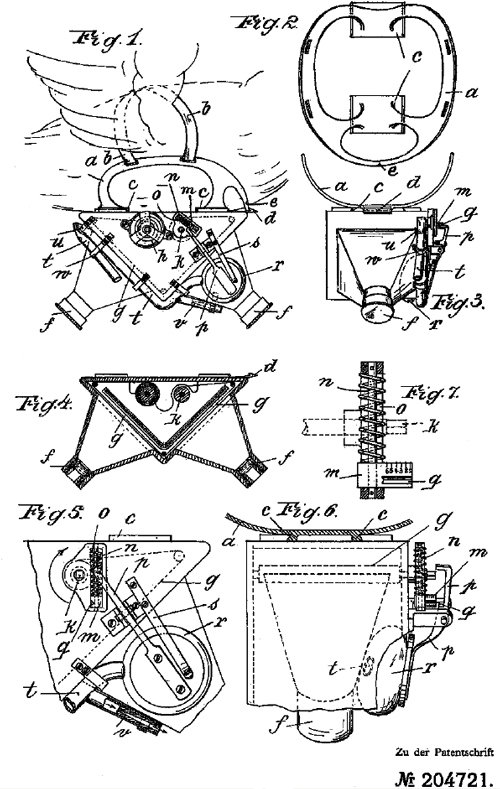 Julius Neubronner, "Sketch Describing the Invention", 1908. 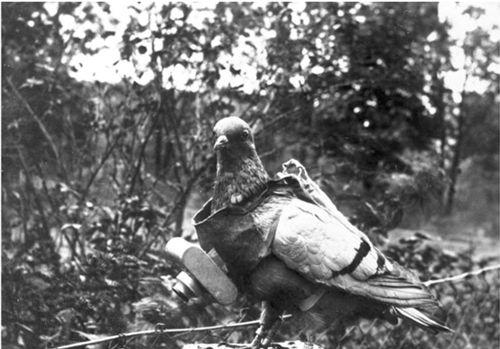 "Carrier Pigeon with a Camera", photograph, German Federal Archives, Koblenz, Germany. 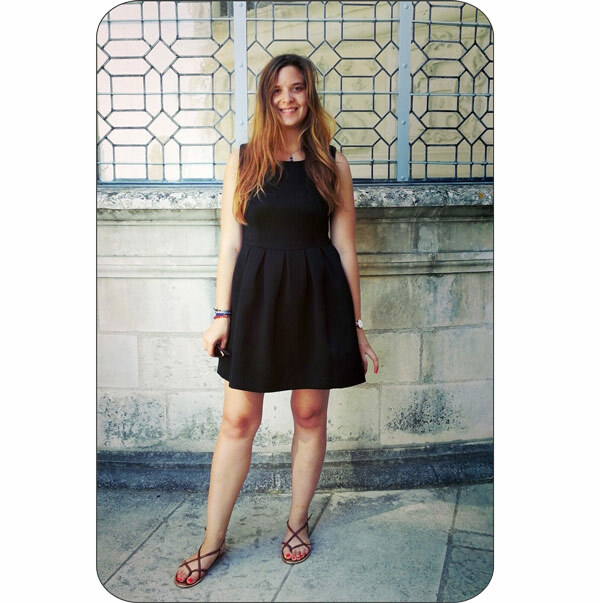 Contact Co-Founders Coline and Jean at hello@artips.co.